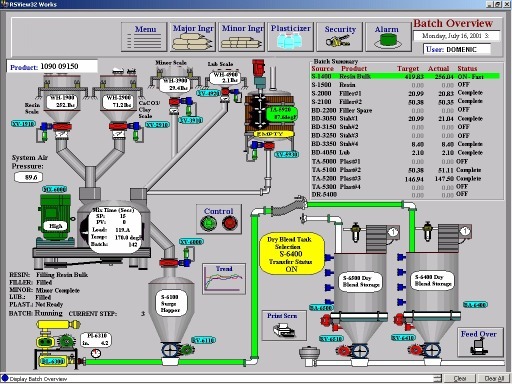 Looking to improve your batching accuracy? Melfi Batch© is the next generation of PAC/PLC-based Gain-in-Weight, Loss-of-Weight, Weighbelt and Flowmeter automated batching controllers. The system is designed to directly replace the proprietary microprocessor equipment supplied by any of the popular LIW feeder manufacturers. . 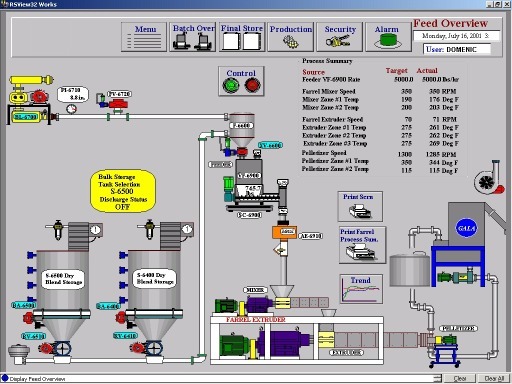 The Melfi Batch© PAC/PLC controller has been developed around the Rockwell ControlLogix and CompactLogix hardware platforms using standard RSLogix5000 programming software with Rockwell Automation FTview HMI. Field communications to the loadcell amplifiers are open standard Ethernet/IP components. We have created a cost effective solution using non-proprietary hardware to simplify the gravimetric batching control process.